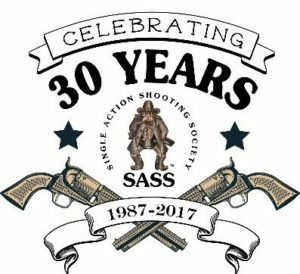 The Single Action Shooting Society® (SASS) is pleased to recognize 2017 as its 30th Anniversary. SASS was founded in 1987 as a membership organization with a mission to preserve and promote the sport of Cowboy Action Shooting™. Over the last 30 years, the Single Action Shooting Society has grown into an international organization, recognizing over 105,000 SASS memberships along the way. SASS is the internationally recognized governing body for the wildly popular sport of Cowboy Action Shooting™, promulgating rules for safety and consistency in competitions across the globe. With over 600 Affiliated Clubs in 24 countries, SASS sanctions championship matches at all levels of competition, including State, Regional, Divisional, National, and the World Championship of Cowboy Action Shooting™, END of TRAIL®. SASS share a common interest in preserving the history of the Old West, a love of the cowboy era, single action firearms, and action-packed competitive shooting for all skill levels in a safe, fun, family-friendly environment. A true multi-generational organization and shooting sport, SASS and Cowboy Action Shooting™ have always been so much more than just a monthly shooting competition. For most members, SASS is not only a family tradition, it has become a way of life — a true SASS family. SASS has come a long way since its origins and is a direct reflection of the membership who have joined with enthusiasm, expanding and keeping alive the joy of the game and its foundation of friendly competition — what we call Spirit of the Game. SASS credits much of its success to these individuals and groups who have contributed to the growth of the organization and the direction of Cowboy Action Shooting™ along the way. 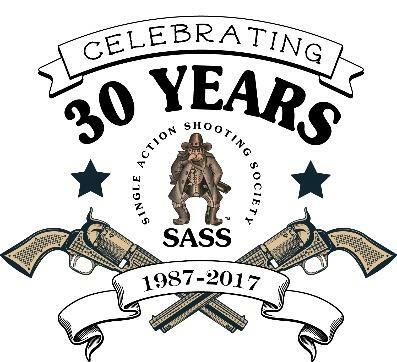 As SASS reflects on the past 30 years, we look forward to the future with anticipation and excitement for the evolution and continued growth of the organization and the sport of Cowboy Action Shooting™. We look forward to many more years providing unparalleled resources and benefits to our members, supporting the shooting sports and firearms industry, and upholding our original mission — preserving and promoting the sport of Cowboy Action Shooting™.